Georgia recognized the restored Republic of Estonia on 27 August 1991. Diplomatic relations between the Republic of Estonia and the Republic of Georgia were established on 17 June 1992. On 21 October 2016 Estonian Ambassador to Georgia Kai Kaarelson presented her credentials to Georgian President Giorgi Margvelašvili. The Estonian Embassy in Tbilisi was opened in December of 2006. Georgia opened its embassy in Tallinn in April 2007. The Georgian Ambassador Tea Akhvlediani presented her credentials to President of the Republic Toomas Hendrik Ilves on April 24, 2014. 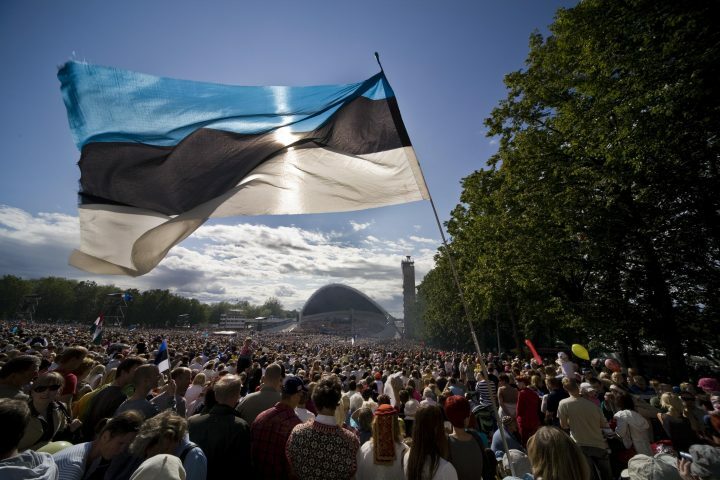 Relations with Georgia are a foreign policy priority for Estonia, and Estonia’s political support for the country has been consistent. Estonia supports Georgia’s territorial integrity and is contributing to rebuilding Georgia after the war. As an EU member state, Estonia was in support of the Eastern Partnership initiative, which went underway in the first half of 2009 and gave Georgia additional integration opportunities with the EU. Within the framework of Eastern Partnership and the Association Agreement, Georgia has the opportunity to conclude a Deep and Comprehensive Free Trade Agreement (DCFTA) with the EU. Georgia is interested in Estonia’s expertise and experiences in both the free trade and agricultural realms. Georgia-NATO relations began in 1992 when Georgia joined the North Atlantic Co-operation Council (now the Euro-Atlantic Partnership Council), and from that point on Georgia has tied itself more and more closely to the alliance: in 1994 it joined the Partnership for Peace (PfP) programme; in 2004 Georgia began to fulfil a NATO Individual Partnership Action Plan (IPAP); in 2008 the NATO-Georgia Commission was created. One important milestone in Georgia’s security policy aspirations was NATO’s Bucharest summit in April 2008, where in the final communiqué a clearly worded membership promise was achieved and Intensified Dialogues began with Georgia and Ukraine. Georgia submitted its application for membership in the Council of Europe in 1996. Georgia joined the Council during Estonia’s Presidency, on 27 April 1999. Estonia has been prepared to share its reform experiences through development co-operation projects. Georgia has been and will remain in the near future the recipient of the largest portion of Estonia’s bilateral aid and one of the development co-operation priority countries, along with Ukraine, Moldova, Belarus and Afghanistan. Many development co-operation projects have been carried out or are currently being carried out—some which can be highlighted are the training of Georgian police officers, state officials, young diplomats and college students, the reform of vocational education, and projects improving the administrative capabilities of the state. Estonia is prepared to introduce its experiences in the agricultural sector, which has low productivity in Georgia.